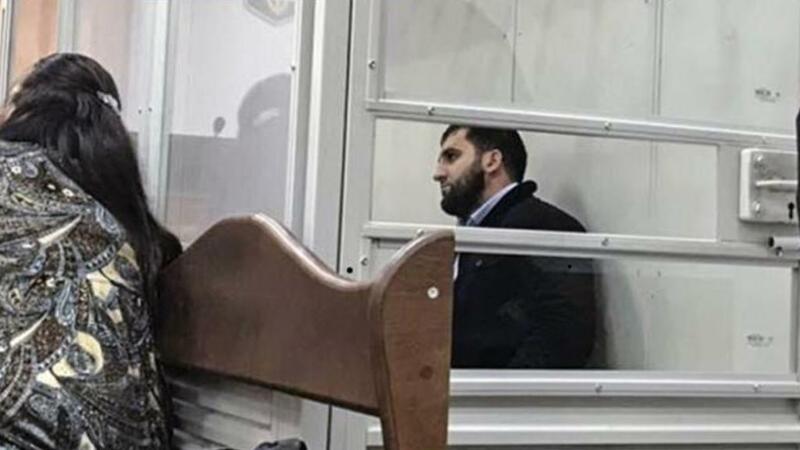 Court hearings in the case of Ingush activist Salman Saynaroyev may take place in the next few months. The investigator made it clear to Saynarov’s defense attorney that the upper management of Kiev’s Shevchenko Police Directorate Investigation Department fabricated the claim to force the investigation. Although the concept of “investigation” has little in common with reality. At each court hearing concerning the extension of the detention period for Saynaroyev, the Prosecutor justifies the petition by the need to conduct a series of examinations in the case. However, since October, when the refugee from Ingushetia was arrested, nothing has changed so far; the number of necessary examinations has not decreased in actuality. The suspect in a robbery with murder is not interviewed, but simply kept locked in detention center No.13 of Kiev. Once every two months, he is taken to court for the extension of his detention period. This, in spite of the fact that there is no reason to fear his flight from Ukraine. Saynaroyev has a permanent home in Kiev where he lives with his wife in an apartment. It would be simple to seize the international passport of a Russian citizen to exclude even the theoretical possibility of his escape. The Prosecutor’s Office, the Investigation Department, and the court ignore all these circumstances; their aim is to keep Saynaroyevbehind bars as long as possible. According to police sources, Saynaroyev is awaiting sentencing and a long jail term. Although the investigators have no evidence against Saynaroyev, except a bloodstain on the premises of the store he allegedly robbed. The police plans and actions (or inaction) suggest the frame-up nature of Saynaroyev’s case. His attorney, Zlata Simonenko filed a petition to decrypt the mobile phone billing of her client, as well as to seize and study surveillance camera records in the house where he lives. According to his attorney and Salman’s own testimony, this information should confirm that at the time of the alleged crime, he was far from the scene. However, the Investigation Department has no interest in the surveillance records and ignored these requests of the defense. A drop of Saynaroyev’s blood on the windowsill of the store he allegedly robbed is the only evidence the Investigation Department has in court today. Simonenko, during her speech in the Shevchenko court of Kiev, when the issue of extending the arrest of her client was reviewed, repeatedly pointed out the obvious contradiction in the case materials. Blood was found on the premises, a surveillance camera recorded the figure, which the Investigation Department believed to be Saynaroyev, on the street at the entrance to the store. After an objective investigation of the case materials in court, this argument of the investigator should be rejected. However, it is difficult to count on the objectivity of the judges. If the suspect is kept in the detention center due to such an “evidence base,” it is clear the instigators of the case against the Ingush activist occupy high positions and have direct influence not only on this Investigation and the Prosecutor’s office but also on the court. In Ukraine, Saynaroyev had not applied for asylum but decided to help those who asked the Ukrainian authorities for protection. It is an unremarkable, but important work. Ukrainian law provides for 12 months of extradition arrest for those who are wanted by Interpol. Almost all wanted Russian Muslims have to serve this term in the Ukrainian detention center. To find an attorney, to negotiate with someone from members of Parliament to take on the responsibility, to rent a house to justify the petition for house arrest, … this and much more Saynaroyev took upon himself. And he coped quite successfully; several arrested Muslims were released before the end of the statutory period with his assistance. Such cases are unofficially conducted by the Security Service of Ukraine. The Ingush activist started irritating officials by his activity. He was warned in private conversations to slow down and not to interfere with fellow countrymen wanted by the Federal Security Service. A key moment in this story concerns the decision of the Prosecutor General’s Office of Ukraine to extradite another Ingush activist, a soldier of the volunteer battalion TimurTumgoyev, to Russia. Salman had dealt with his case when Tumgoyev had still been kept in the Kharkiv detention center. At that time, picketing had been organized outside the walls of the detention center with the participation of soldiers of volunteer battalions and representatives of the Nakh Diaspora demanding the release of Tumgoyev. Saynaroyev had taken an active part in the organization of the picketing. When it became known about the extradition of Tumgoyev, Salman, along with other fellow countrymen and Ukrainian activists, met with high officials of the Prosecutor General’s Office. He wanted to initiate an investigation upon the treacherous extradition and dismissal of the Deputy Prosecutor General Yevgeny Yenin who had signed the decision on the extradition. The Commission was to include the head of the Mejlis of the Crimean Tatars, the Member of Parliament Refat Chubarov, representatives of the Nakh division fighting on the Ukrainian side against Pro-Russian separatists. The management of the Prosecutor General’s Office promised an objective investigation and was ready to suspend Yenin for the period of the investigation. However, nothing of what had been promised has been done. The Commission is still not established, and security service officers together with officers of the Prosecutor General’s Office, who promised all help and support, started flocking about Saynaroyev. At the same time, rumors about his alleged involvement in a serious criminal offense began to spread among those who surrounded the activist. Soon, he was detained by police special forces officers directly in his apartment, he was beaten, his properties and money were stolen, and he was released in several hours with apologies of a mistake. When the police officers broke his nose, they took blood samples for DNA testing. According to the attorney ZlataSimonenko, a blood sample allegedly found in the burgled jewelry store was sent for examination without complying with the procedural formalities. That is, the attorney does not exclude that the blood of her client was taken elsewhere and just placed at the crime scene.